In Ideas for Staying out of Debt I plan to cover my ideas/plans on how to stay out of debt. First off, let me say that I am not talking about the people who are able to pay off credit cards in full. 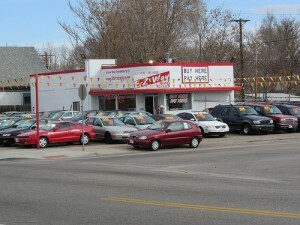 I am talking about such topics as car loans and store credit aka Buy Here, Pay Here. When most people think about debt they associate it with numerous items, Credit Cards included along with various loans like car loans and student loans. I would like to believe in the idea that besides a house one can live life without debt. Yet the only way to have no debt is to never use credit and/or keep a balance. For many people I can understand this being hard. I myself simply didn’t have the cash when it came time to buy books, so I took out a loan, wishing now I never did. What would it mean to not use credit? For me it would have been to not accept the loan. While to others it could mean delaying the purchase of a car. Yet to others it can mean even more things. But not using credit has an almost negative view in society. It is almost expected of you to go into debt at some point in your life. Yet who benefits from this? Almost any company offering loans/credits generate income from providing this service. Take most loans, your charged interest on the amount you pay, which is extra income to the business. Had you used the advice in the previous post about savings you could have waited a few months and paid with money you had. Which while in savings it could have made you a little bit of interest, which to be fair is less then 1% for most banks at the moment. I’ve read numerous posts on other personal finance sites about this topic and if possible I say save up and pay with the money you have. if you follow the classic saying of not buying what you can’t afford, then you can’t get into debt. On a side note, what do you the reader think this site should discuss. Also I hope to get a logo up by the end of the month and we’re on Facebook now.